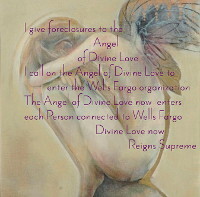 Last week, May 22, 23 and 24 was the trial in Wells Fargo’s fraudulent foreclosure action against my home and garden. 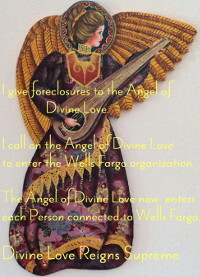 I say Fraudulent because Wells Fargo didn’t serve me the Complaint, and then a month later when I hadn’t answered because I didn’t know about it, Wells Fargo reported my home as foreclosed and paid a Santa Fe contractor to come, drill into my locks and secure my home for Wells Fargo. I’m not the only American Wells Fargo has treated this way. It’s an evil tactic but it works for Warren Buffett who values money, not people. In opening statements my lawyer, Eric Ortiz, said that if Wells Fargo is unable to prove any one of three things, then the case must be dismissed. 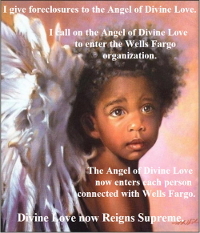 Later, however, the judge asked if the three things were disjunctive and Eric said they were but that in fact Wells Fargo was unable to prove even one of them. Eric also said the the judge would hear Wells Fargo’s “best guesses”. That is, not proof. And, he said Wells Fargo should be judicially estopped from changing its story. Basically Wells Fargo began by complaining as if it was in possession of the note, but then after I kept asking WF to produce the note WF changed its story by saying it had lost the note. In any case, after opening statements the first day was boring in the extreme. Wells Fargo’s lawyer asked Wells Fargo’s witness endless questions about the document custodian, First Union, which merged with Wachovia. There were innumerable questions relating to Wachovia merging with Wells Fargo. I wanted to shout out that Wells Fargo used TARP money to buy Wachovia instead of modifying loans, but shouting is rather frowned upon, so I didn’t. When Judge Ortiz said, “Standing is the core issue,” I was hopeful. That’s basically what I’ve been arguing since 2009 when Wells Fargo qualified me for a HAMP loan modification, then reneged after I kept the trial period. 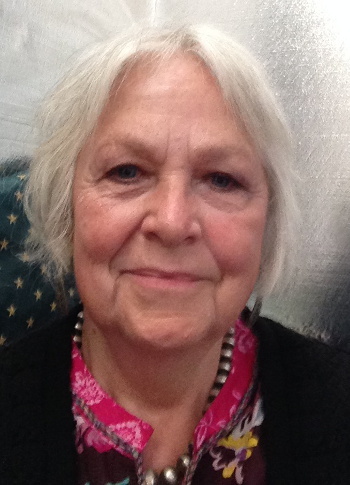 My feeling was that if Wells Fargo didn’t serve me, then pretended my home was foreclosed by default because I didn’t answer in 30 days, when I hadn’t even been told about the action, and then Wells Fargo lied in relation to the HAMP loan modification, that Wells Fargo probably didn’t have the true, requisite standing to bring the case. When an unsigned copy of some crucial business document was presented, Eric objected saying it was inadmissable under the Best Evidence Rule. He was overruled. Eric asked the witness, “What did you do to find the original note.” She replied that she had reviewed the imaging system. BLINK. I mean, how can you review an image and call it the original? Eric objected to something right about then and his objection was sustained. First time. I drew a huge smiley face in my notes. When Wells Fargo produced its servicing notes they were heavily redacted. Eric asked that the judge be given an unredacted copy to review. That was done. Judge to review sometime before next day of trial. In 2002, Wells Fargo was returning original docs to First Union, the document custodian. Since then Wells Fargo has not been able to find the original note. When it got to my payment history Wells Fargo emphasized that the judge had already ruled that Wells Fargo had followed all HAMP guidelines. I don’t remember that ruling, but Wells Fargo continued to mention it periodically. Wells Fargo’s lawyers stressed that my present indebtedness is $190,000+. That’s when I realized whey they are so keen to be free of any responsibility re HAMP. After all, my loan was $93,000 after a 2000 modification to pay WF lawyers in my Chapter 11. So, the bulk of what is owed is interest which would not be the case if Wells Fargo had not reneged on my HAMP loan modification. 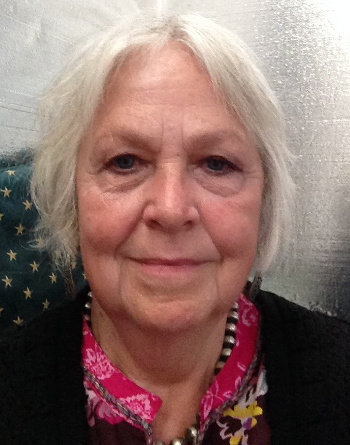 Wells Fargo’s witness explained that my HAMP payments were put into a Suspense Account. I couldn’t say anything, of course, but I wondered how much that move increased the interest I am being charged. Eric Ortiz, my lawyer, asked the witness how many trials she’s testified in since 2012. She said she didn’t know. Eric asked if it was 5 a month, she said she didn’t know. Eric asked if it was ten or more, she said she didn’t keep track. She sounded totally unbelievable to me. Eric questioned about First Union, the records custodian, and its log of where everything is located. He asked about a bailee letter which should be produced to show where the note is supposed to be. But, no bailee letter. Wells Fargo’s binder of exhibits was more than 6 inches thick. Addressing each exhibit took a lot of time and was really boring. I felt bad for my two friends who had come to support me. Exhibit L was somewhat interesting in that it was the 2000 loan modification. When it was recorded it was mailed to Safeguard. The last page from Safeguard letter does not reference the Original Note. Who lost the note? Doesn’t know. When was the note lost? After 2002. The last tracking info on the original note is 2002. Page 88 of the Serving Notes: Feb. 2, 2004 – no note in file. Nothing shows that anyone other than First Union lost the note. Did Wells Fargo know it didn’t have the note in April of 2008 (when it filed its Foreclosure Complaint)? Records do not show that they were reviewing for Original Note at that time. 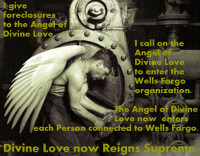 Eric says, “You don’t even know if the attorneys reviewed for the original note.” Witness says, “I can’t speak for the attorneys.” Eric makes the point that Wells Fargo doesn’t supervise its attorneys. Exhibit O involved how GE Capital got the right to the note. Exhibit N (they were not dealt with in alphabetical order) provided a moment of humor when Eric asked the witness, page by page, if the note was mentioned on page 148, 149, etc. right through 160. It was not. Apparently this raised a question of whether GE Capital ever got the original note from Bank United of Texas, which is who gave me my loan originally. The question was raised page 169 had a note for 11 9 99 that said, “note to follow”. What I didn’t understand was if the Note had followed, why were the questioned pages lower numbers. Similarly a research item was opened in 1996. In neither case is there an indication that the Original Note was found.